Mixed plastic items such as salad bags and yoghurt pots can be recycled cost effectively, the government’s waste watchdog has said. The Waste Recycling and Action Programme (Wrap) has published research it says proves for the first time the efficiency of this type of recycling. They say recycling these types of materials would save £200m every year in landfill taxes and manufacturing. Wrap has called for investment in the appropriate recycling facilities. The Wrap researchers say the first factory in the world to recycle milk containers, which are made of a different sort of plastic, will open in Dagenham in London later this month. They say this is proof that this next generation plastic recycling is a commercially viable prospect in the UK. Until now many councils have concentrated on certain types of plastic – accepting bottles but shunning other items because of the way they are made. 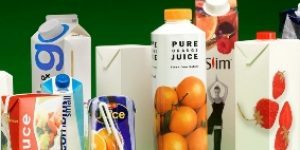 Currently, plastic packaging is made from mixed materials – such as cling film, ready meal cartons and yoghurt pots – that are left behind after all other recyclable household waste has been dealt with. This type of packaging accounts for 45 billion items of waste a year, said the BBC’s environment correspondent, Sarah Mukherjee. The Wrap researchers say increased recycling of mixed-plastic packaging could reduce the amount of waste sent to landfill by nearly 1.5m tonnes. 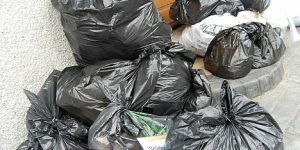 Wrap said local authorities have so far been loath to collect these types of items because there are no recycling facilities currently available. They said this has led to a vicious circle with companies not investing in the right facilities because there wasn’t enough material to recycle. What do you think – is this they way forward or should we find an alternative for plastics? Leave your comments below! This is fantastic news and I was pleased to have attende WRAP’s event where the finding from its research was unveiled. What is good is that their research has been done in the context of considering other solutions for plastics. The scientific evidence is available from their site for those who are interested. That must have been SO exciting for you, Mrs A. I’ll go and have a read of their site and try and make out that I’m very intelligent and understand it all. I may be gone some time……..
many plastic containers are thrown away together with their contents – ultimately all collection and recycling will have to follow commercial considerations – waste collections and processing already cost over £150/tonne and councils will do what the residents want as long as they are prepared to pay – the solution really is behaviour change and stop produce the waste in the first place. The public will also have to alter their prejudices of waste management locations and processes – planning and NIMBY attitudes drive up cost of waste management. Venk Shenoi has highlighted the situation perfectly with councils having to balance the supply and demand both in the sense of what residents need and what is technically and economically viable. It’s going to be hard work but as more and more people start thinking about waste no longer as rubbish but as a resource, the path will become easier. Perhaps it’s time for people to really begin to think selfishly. Bizarre concept I know, but as virgin sources become rare commodities, economics will dictate that the price of goods will go up, with the risk that what are now affordable products could venture outside of people’s reach unless they are well-off. Personally, I would like to maintain my nice lifestyle and that of my children and potential children. Call me selfish for wanting to look after my own little world, but it is a sufficient kick-up-the-backside to take responsibility for the waste that we generate and make sure that it can be re-used in another production line elsewhere. WRAP has already highlighted the economic feasibilty of mixed plastics recycling, with a plan for a UK recycling plant to be in place by 2011. What’s needed now is a significant voice from residents showing both their demand for and commitment to a collection scheme. At the other end, if the disposal authority together with the MRFs can be satisfied that there is a demand for the recyclables they would have more confidence to extend their facilities. WRAP has asserted its commitment to increasing our country’s recycling facilities and will also put its money where its mouth is. Perhaps what’s now needed is for councils and MRFs to give WRAP a vote of confidence and work with them to get their own ball rolling. Also if economies of scale cannot be achieved in more rural and less dense areas (after all, economic viability is based on sufficient tonnage of supply) would it be sensible for councils to join forces with neighbouring authorities to achieve the economies of scale needed? I know my theorising is probably simpler than the reality, but as everyday consumers at least it gives us another avenue of thought. Thank you so much for this informative comment. You know a lot about this issue as is clear from your post. You hit upon a key point which is that we are beginning to see our rubbish as treasure – how long has that saying been around? The more this happens the better things will be. The latest news from WRAP is very exciting and I’m looking forward to keeping up with any progress on that issue. Thanks for the link to the joint Waste authorities info; I’ll take a look at that.